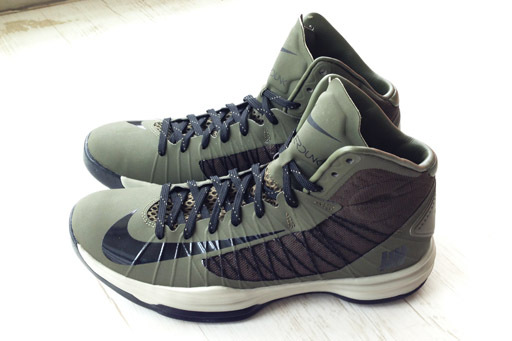 Undefeated x Nike Hyperdunk 2012 - Ballistic "Bring Back Pack"
It appears Undefeated and Nike will continue their 2013 'Bring Back Pack" with their original "Ballistic" design making a return on the Hyperdunk 2012. 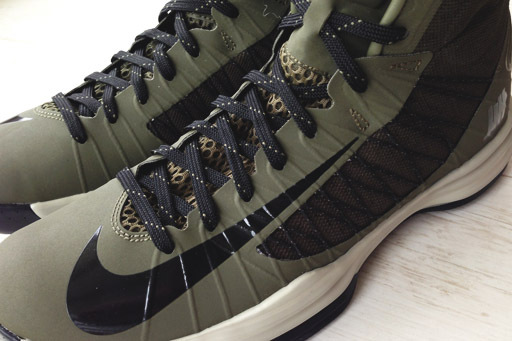 Likely to be released alongside the original "Ballistic" Dunk High, we see the innovative Nike Hyperdunk 2012 in the same dark army based colorway. 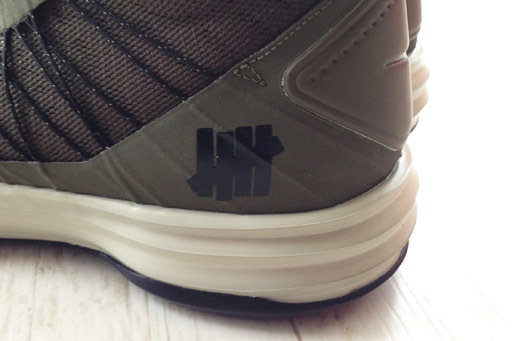 Classic Undefeated 5 Strikes logos hit the heel in black, finished off with a natural-toned Lunarlon tooling sitting below. Stay tuned to Sole Collector for further details on the "Ballistic" Undefeated x Nike "Bring Back Pack."